Four Kent law students have been selected to compete in the UK’s National Negotiation Competition, the final of which will be hosted at Kent’s Canterbury campus in July 2016. Stage 2 Law LLB students Adrienne Zaya and Krystin Wilson together with Stage 3 Law LLB students Claudio Storelli and Kojin Mirzayi will be hoping to follow in the footsteps of Kent law students Tomi Popoola and Sean Wells who won the national competition last year and who secured Kent the honour of hosting next year’s final. Adrienne, Krystin, Claudio and Kojin were selected after winning the School’s annual in-house negotiation competition. Runners-up were Stage 3 law students Osiyemi Osipitan and Mutinta Chinganya. Four law students also proved their negotiation skills in the School’s in-house international negotiation competition set in Nigerian law. 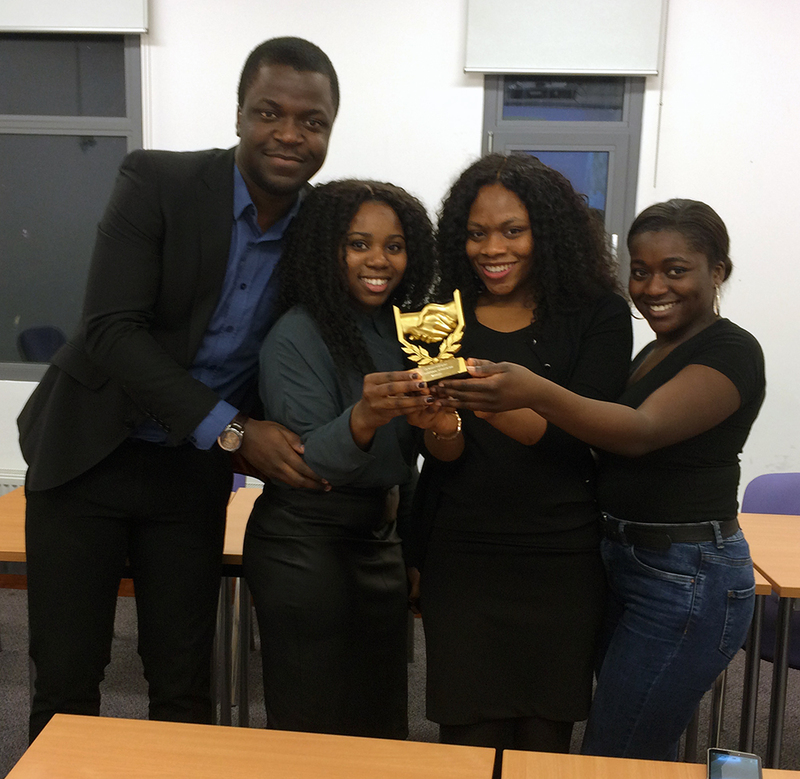 The competition was won jointly won by two teams of final year Law LLB students: Osiymemi Osipitan and Sherrifah Oyetti; and Sarah Adediran and Chinoye Nnaji. Osiyemi, Sherrifah, Sarah and Chinoye are pictured above with their trophy. 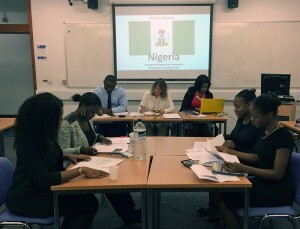 The scenario for the international competition was set by Temple Uchegbune, a lawyer at Clifford Chance LLP (in their Private Equity Group) and final year Law LLB student Ruby Igwe. Temple is also Counsel and Senior Associate for Templars, a full-service law firm with legal expertise in the Nigerian business environment. He helped judge the competition together with Negotiation Module convenor Janie Clement-Walker. Each year the international competition features a different scenario; last year’s was set in Canadian Law. All the student negotiators competing this month are amongst those students taking the extra-curricular Negotiation Module. This 10-week module, available to students in the second or third year of their degree, introduces the negotiation skills required to resolve legal disputes without recourse to litigation. It is one of two non-credited Alternative Dispute Resolution (ADR) modules that have been running at the school since 2010. The second is the Mediation Module. Students develop the practical skills required through workshops and competitions. Although optional, successful completion of ADR modules is noted on final degree transcripts. 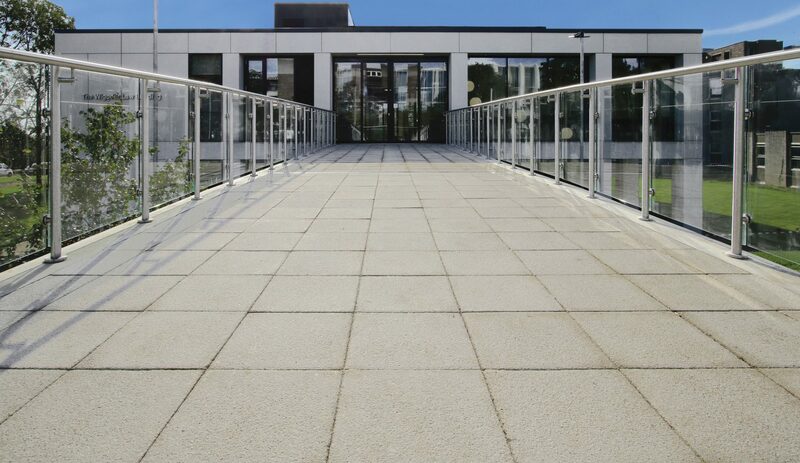 Mediation and negotiation are amongst several options open to students at Kent Law School who are keen to develop their practical legal skills; other options include getting involved with the work of Kent Law Clinic, mooting, client interviewing and participation in mock trials.